With this hot weather, birds will be on the lookout for ways to keep cool, Watching a bird romp in a wyer bubbler is akin to a kin running through tha sprinkler...Pure relief and joy! 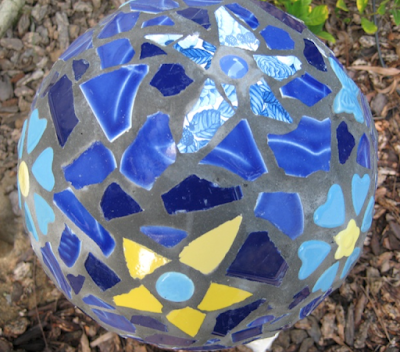 You can make a bubbler for your garden in this workshop on Thursday. Use colorful pieces of glass and marbles as well as your own waterproof treasures, to create a mosaic ball that bubbles with water. 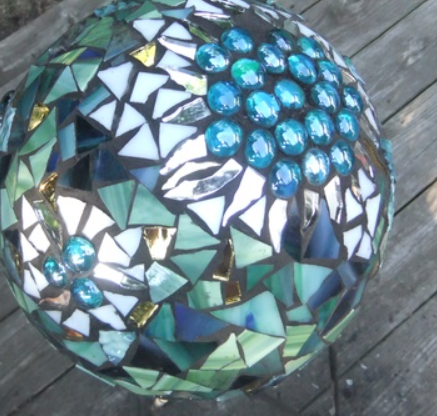 Round water basin and pump included. 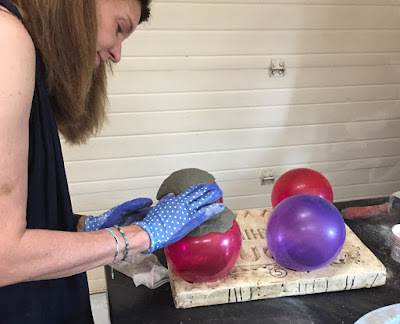 Bouncy, bouncy, bounce! Bounce a bit of cement on the top of a balloon and you get...a cool balloon pot. 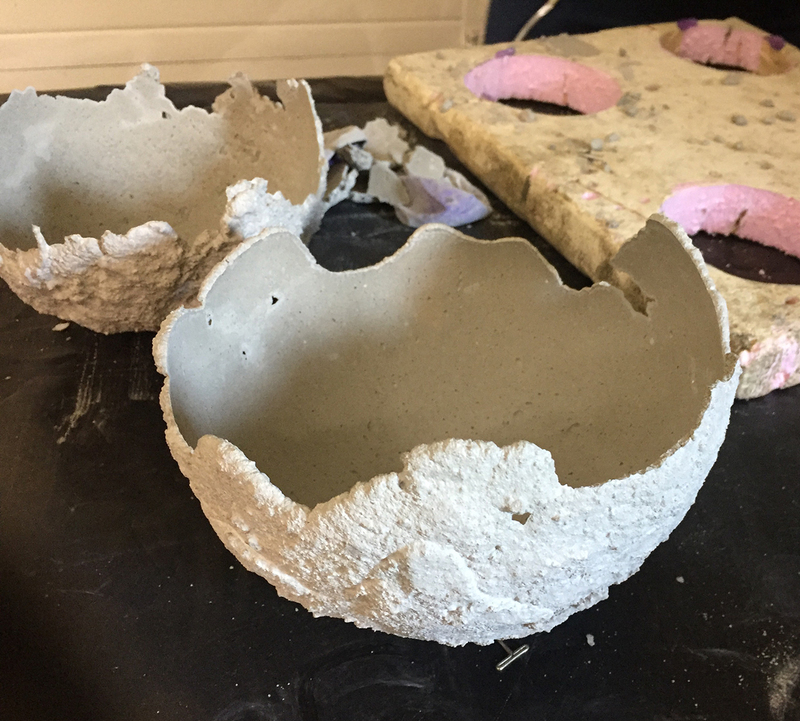 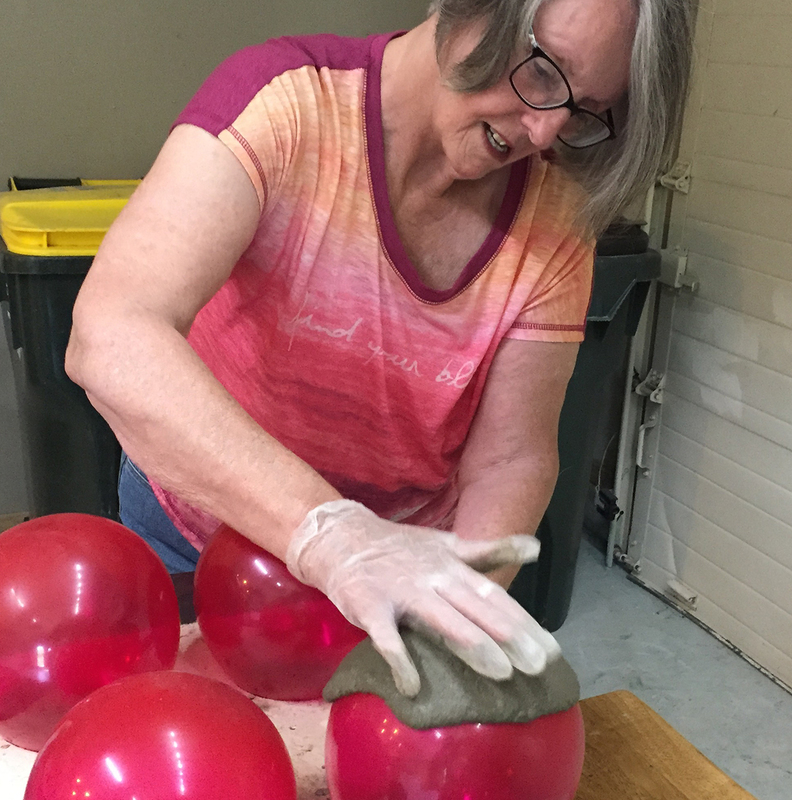 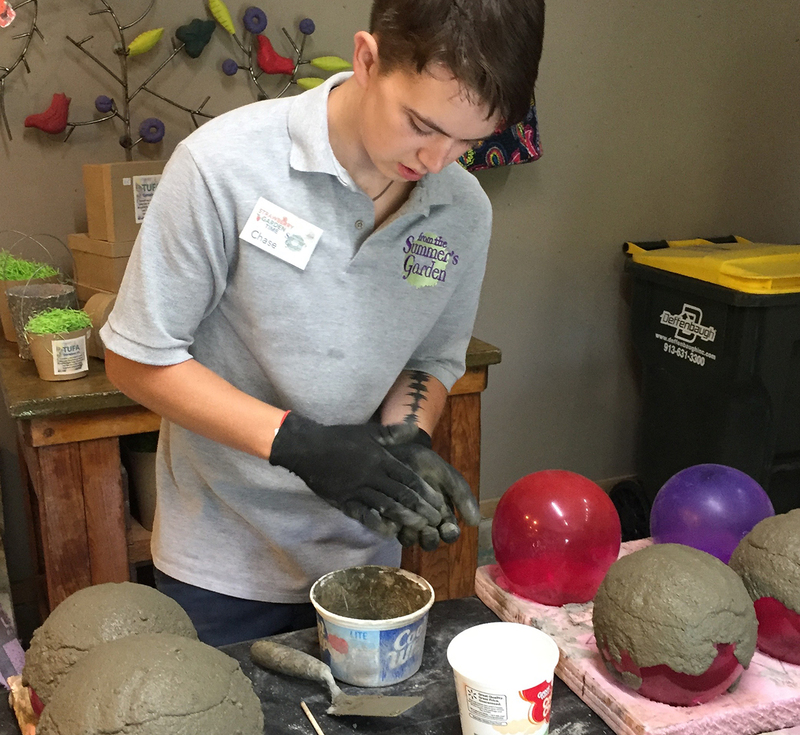 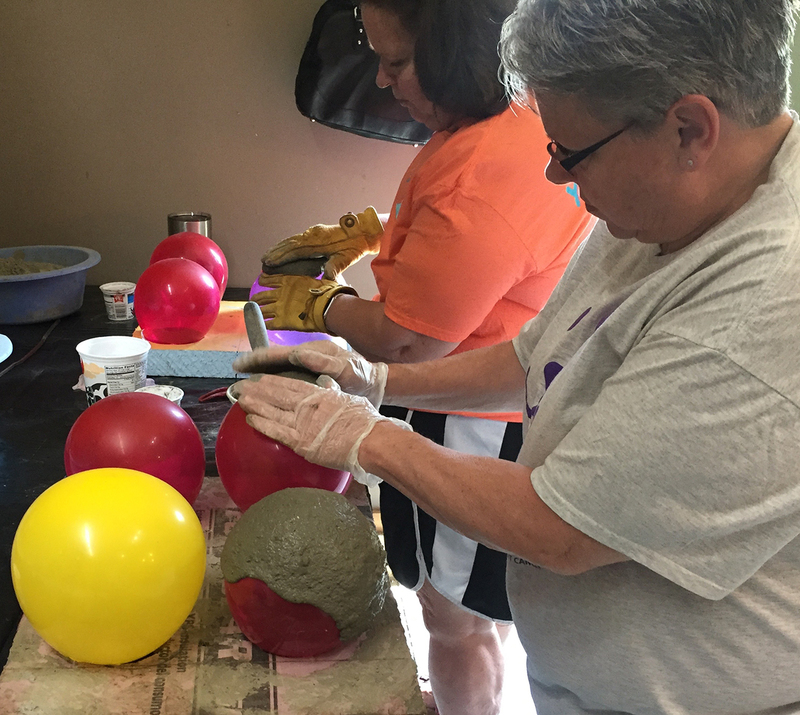 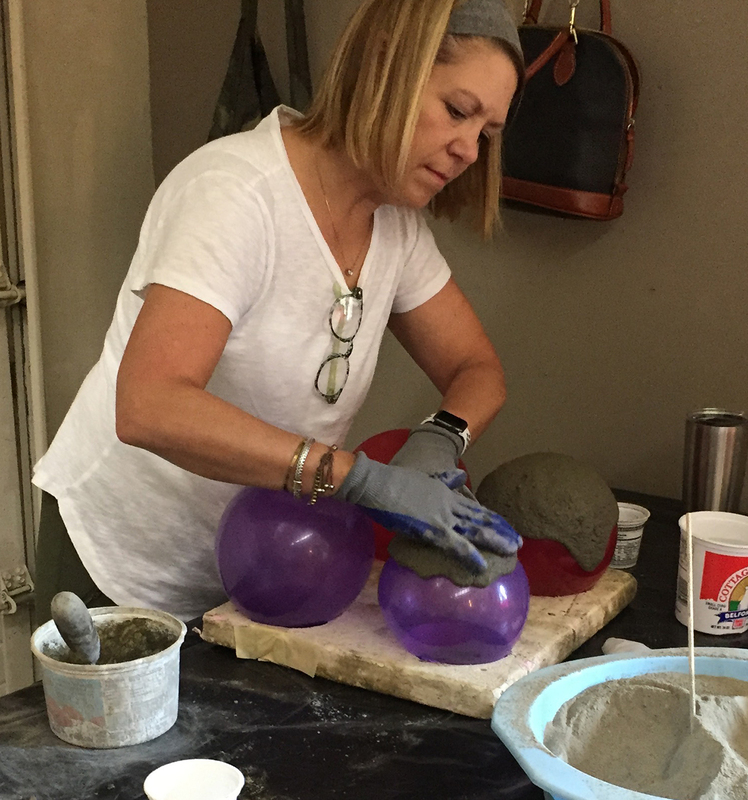 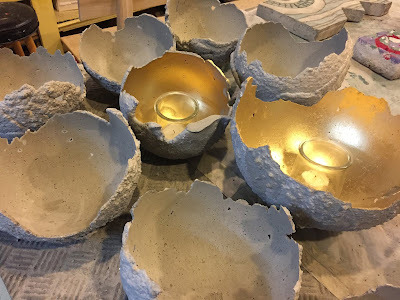 We have another concrete balloon pot workshop on July 26. Join us! CLICK HERE FOR MORE INFO AND TO ENROLL.